Thought-provoking talks about the future of technology, how to improve it, and what it means for design engineers. The ending of Moore’s Law may be about to create a new golden age for design, especially one fueled by artificial intelligence and machine learning. But design will become task-, application- and domain-specific, and will require that we think about the lifecycle of the products in a different way. In the future, we also will have to design for augmentation of experience, not just automation of tasks. These are just some of the conclusions coming out of the keynotes from the Design Automation Conference (DAC) this year. There were five keynotes this year, although technically one was called a visionary talk. That just means it was a little shorter that the others. 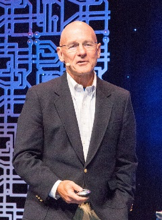 David Patterson, Professor Emeritus for UC Berkeley, and vice-chair of the RISC-V board of directors. 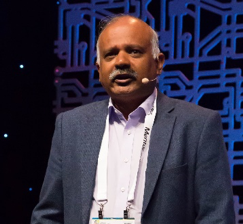 He concluded that using domain-specific languages is the new opportunity, with domain-specific architectures beneath them, and that now is a great time to be in the hardware business again. In order to move from where we are today into the future, there is another step that has to be added. “Learning has made a lot of progress, but reasoning less so. Reasoning has to part of the future of where AI needs to go. Can we really make a difference and crack comprehension? Not just language processing, but we can we build a machine that can comprehend a text?” He extended this notion to writing and automated experimentation. The last section of his talked looked at quantum computing, and he spent his time explaining the technology rather than specifically looking at how quantum computers would be used in machine learning—except to say they may be able to solve problems that are beyond conventional means. 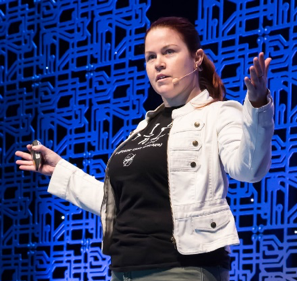 Sarah Cooper, general manager for IoT Analytics and Applications within Amazon Web Services. That might not sit well with the mil/aero, medical or automotive industries. 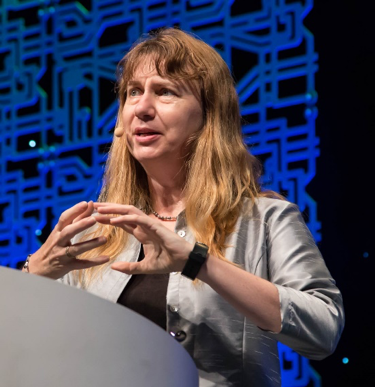 Maja Matarić, professor of Computer Science, Neuroscience, and Pediatrics at the University of Southern California, founding director of the USC Robotics and Autonomous Systems Center, and vice dean for research in the Viterbi School of Engineering. Matarić presentation focused on socially assistive robotics (SAR), providing several examples of how robots are being used to help people with special needs, such as those overcoming strokes, suffering from Alzheimer’s or on the Autism spectrum. What does the future look like and how are we going to get there? Many problems remain to be solved. 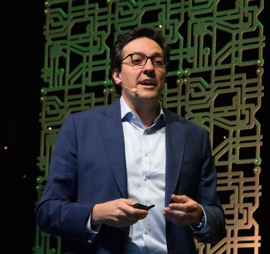 Where AI can go and the problems in getting there, plus how finance sees EDA. What is drawing the industry’s interest? Major themes begin to emerge.